It's Your country. Enjoy it. From the rolling hills of Mpumalanga to the roaming wildlife of the Dinokeng Game Reserve, South Africa is the ideal destination for creating unforgettable memories. This Tourism Month, all roads lead to Mpumalanga, the host province for Tourism Month 2017. Expand your horizons and explore this beautiful land, after all it is just a Sho’t Left away! 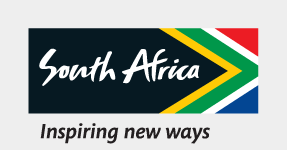 South Africa celebrates Tourism Month annually in September with the objective to focus on the importance of tourism to the economy of South Africa. This year, South African Tourism approaches Tourism Month under the lens of the I Do Tourism campaign, which seeks to make tourism everyone’s business by getting the whole country to rally behind tourism by demonstrating the far-reaching impact of the tourism value chain. You can Do Tourism through assisting with the preservation of our wildlife and environment by using recyclable products, promoting energy efficiency, supporting anti-poaching and anti-littering initiatives. Dullstroom offers a range of activities set agianst an exquisite backdrop of mountain views and serene surroundings.This charming Mpumalanga town is more interesting than the name suggests.